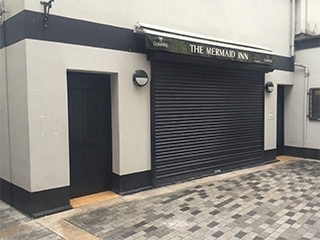 The Mermaid Inn is found between Ann Street and High Street. Have you got Google Earth on your computer? If so, then download the Google Earth view of The Mermaid Inn. Is this the wrong position for The Mermaid Inn? If you think so, then modify its position. Click / Tap the button above to get directions from where you are to The Mermaid Inn. Found this bar by accident.Was very quiet but a nice relaxed atmosphere with just a few elderly shoppers.The toilets appear to be vastly improved since the visits of the previous reviewers.In conclusion a nice bar with a social club feel to it with carpet.